Happy Canada Day to my country, the True North strong and free. Hey, you have to indulge me. It’s not often Canada Day is on a Sunday when I’m in charge of Sunday Editions! 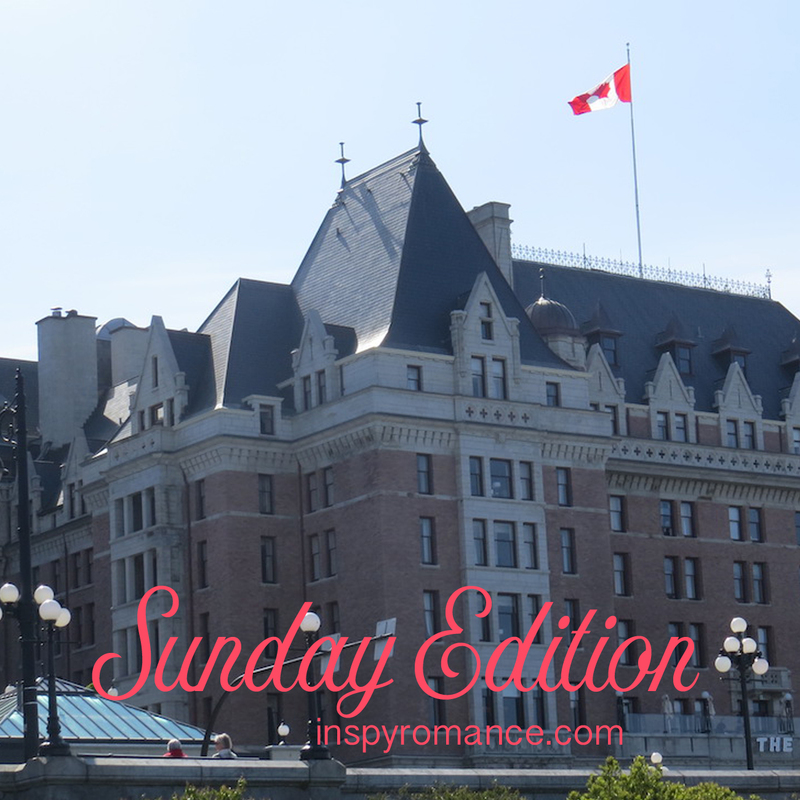 I took this photo of the Empress Hotel in early May when we were in Victoria, the capital city of British Columbia and the most British city in Canada. One of these fine years we need to have High Tea at the Empress — it’s world famous, with prices to match! Shannon Taylor Vannatter’s winner is Wemble! Carol Moncado’s A Royally Beautiful Mess is 99c through today, July 1. Heather Gray’s Nowhere for Christmas is 99c through July 3. Kimberly Rose Johnson’s A Love Song for Kayla is FREE through July 3. Canada’s confederation was in 1867, so we celebrated our 150th birthday in 2017. 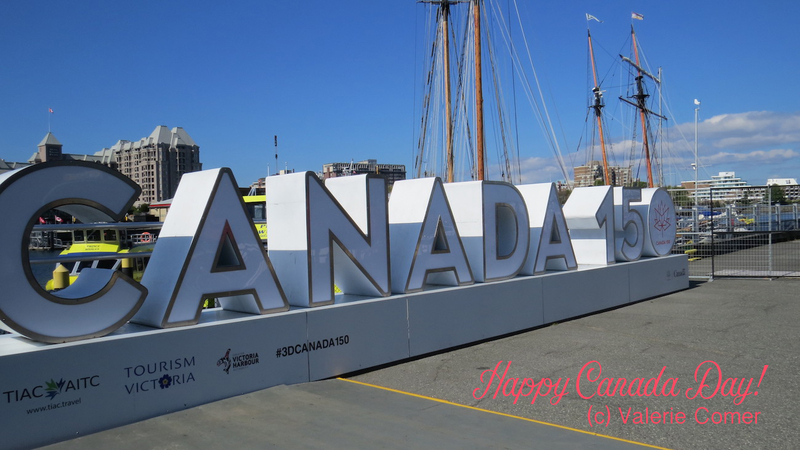 This photo was taken on the Inner Harbor in Victoria… in between children climbing all over the letters and numbers! On Monday, Heather Gray invited us to life in the great outdoors (or thereabout). On Tuesday, Marion Ueckermann shared the theme Submerged. On Wednesday, Lindi Peterson talked about building character. On Thursday, Cecelia Dowdy asked: Do men read romance novels? On Friday, Janet W Ferguson hosted Tina Radcliffe and Falling for the Rancher… and #giveaway. On Saturday, Julie Arduini talked about single parent characters. My husband surprised me with a whale-watching tour. We’ve done them before, but I didn’t think this was a good time of year for it since the bigger whales are in transit from their winter grounds near Hawaii and aren’t off the BC coast in big numbers yet. 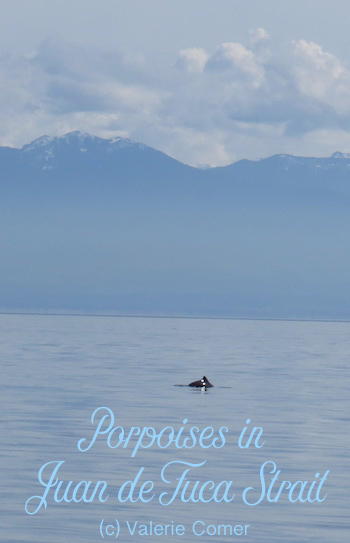 But we not only surprised a pod of harbor porpoises, but we spent probably twenty minutes enjoying the antics of a family of orcas (below), so it was well worth the trip! Happy Canada day to you, Valerie!! Thank you for sharing! I feel the same when an Australian mentions visiting Victoria – I do a double take! Hi Valerie! Happy Canada Day! Thanks for sharing Canadian history and culture. I have only visited two Canadian provinces: Manitoba and Ontario, which borders my unique state of Michigan. Enjoy your holiday. Best wishes and Happy Writing. Happy Canada Day Valerie! I also went on a whale watching boat ride a few weeks ago. We were on the west coast visiting our daughter and son in law. While there we took a road trip to California and on to The Grand Canyon before returning to Las Vegas where we were visiting our daughter and son in law. The whale watching cruise was so much fun although quite windy and chilly. The cruise left from Long Beach California for a 3 hour whale watching expedition. It took awhile but we finally saw about 1,000 or more dolphins. That was an amazing sight. Further on, we spotted the first blue whale which was huge. We saw a few more. Our narrator told is that the blue whale we saw were over100 feet long and weighed 430,000 pounds. I took notes on my phone so I wouldn’t forget those stats. That was our first time being out on the Pacific Ocean. Sounds amazing! We love doing whale watching tours. This was our fifth (I think) and every time we see something cool, even if it’s sea lion colonies or sea otters rather than whales. I haven’t seen a blue whale, though! As far as I know, they don’t come as far north as Canadian waters. I’d love to go whale watching. It seems like it would be so relaxing. It’s one of my favorite things! This time we were on a twelve-seater Zodiac, so maybe not “relaxing” since it bumps along pretty well (my Fitbit thought I’d walked 10K steps LOL), but exhilarating and FUN!